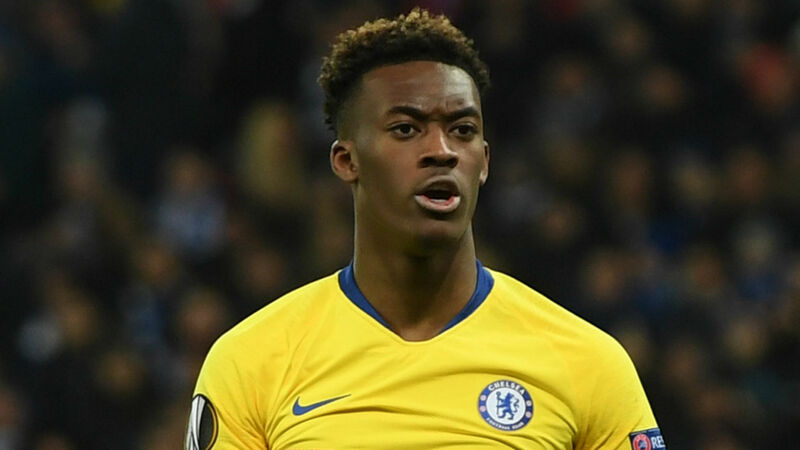 Chelsea's complaint over the alleged racist abuse of Callum Hudson-Odoi during a Europa League clash at Dynamo Kiev will be investigated by a UEFA inspector. The Premier League side revealed last week that chairman Bruce Buck and their club secretary had spoken to UEFA's match delegate regarding an accusation of racist abuse of a Chelsea player in the closing stages of their 5-0 victory in Ukraine. In their statement, Chelsea said they expected the governing body to "conduct a fulsome investigation" into the matter and UEFA has now confirmed an inspector will determine whether there is enough evidence to charge Kiev. "An ethics and disciplinary inspector has been appointed to evaluate a complaint lodged by Chelsea about the alleged racist abuse of the player Callum Hudson-Odoi," a UEFA statement read. "The ethics and disciplinary inspector will now evaluate whether or not there is sufficient evidence to open disciplinary proceedings against Dynamo Kiev in accordance with article 55(1)(f) and (2) of the UEFA disciplinary regulations. This update follows UEFA charging Montenegro with racist behaviour after alleged incidents that occurred in England's 5-1 win in Podgorica, when teenage winger Hudson-Odoi made his first senior start for the Three Lions. Speaking about the incidents in the Montenegro game, Hudson-Odoi said he had heard "monkey stuff". He told beIN SPORTS: "I don't think discrimination should be anywhere, we are equal. "We have to play a fair game and enjoy the moment, but when you're hearing stuff like that from the fans, it's not right, it's unacceptable. Hopefully UEFA deal with it properly."